Confidently manage your breath and eliminate the anxiety of being around others with Dr. Richard Miller’s proven treatment protocol to kill bacteria and neutralize bad breath right at home. 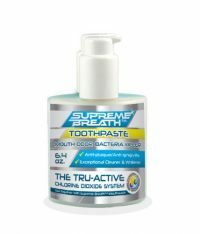 Get the only bad breath treatment available that allows you to customize effectiveness –Supreme Breath™ Complete Bad Breath Elimination System! Contains the proven Beating Bad Breath protocol, plus the most powerful products available to eliminate bad breath. Since the amount of volatile sulfur compounds (VSC’s) that make up the “intensity” of breath odor vary from person to person, most cures and remedies fall flat. That’s why it is important to use a product and treatment program that allows YOU to customize its strength to your needs. In order to be in control of your breath, you need a proven technique that can be modified for your individual needs. You also need a safe and effective solution that you can alter as necessary to kill and neutralize your breath odors. breath treatment program for your needs. Using Supreme Breath™ Tru-Active Chlorine Dioxide products allows you to set the strength that’s just right for eliminating your breath odors. The result? Long-lasting fresh breath that you can confidently maintain all day long. At-home breath treatment is a way for individuals to manage or control their bad breath. Professional treatment is performed in-office and is the only guaranteed way to permanently cure bad breath, or your money back. We stand behind our professional bad breath treatment with a money-back guarantee based on four scientific tests which are used to measure the breath odor levels. 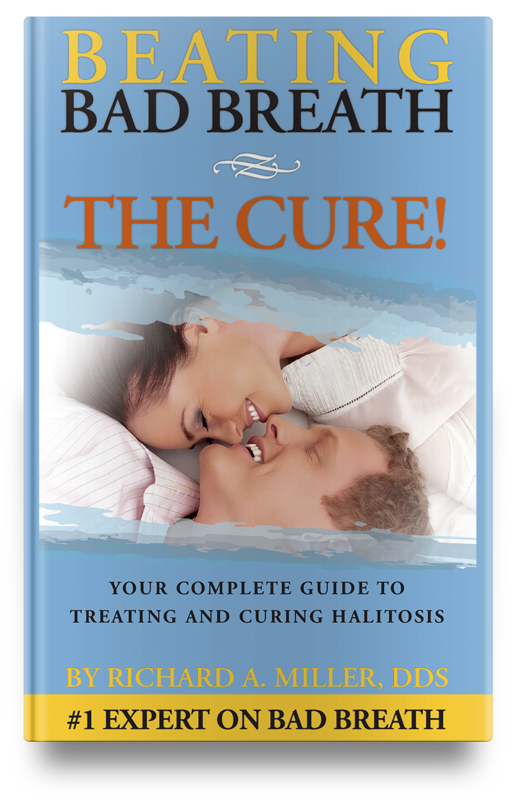 The Total Cure guarantees that you will have true fresh breath — in other words, breath with no discernable odor. Don’t be mislead by Internet advertising of curing bad breath with products that claim “99.7% success”, “fresh breath for 24 hours” or other such claims. The simple fact that these products need to be used every day, even multiple times per day, indicates they are not a cure. In fact, many of the people seen at the National Breath Center have tried most of these “cures” with little result. When professional treatment may not be an option, at-home breath treatment using the Beating Bad Breath Protocol and Supreme Breath™ products is the best way to control or maintain fresh breath. How are Supreme Breath™ Products Superior to Others? 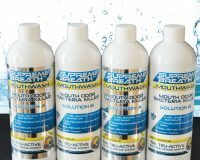 Get the only bad breath treatment available that allows you to customize effectiveness –Supreme Breath™ Complete Bad Breath Elimination System! 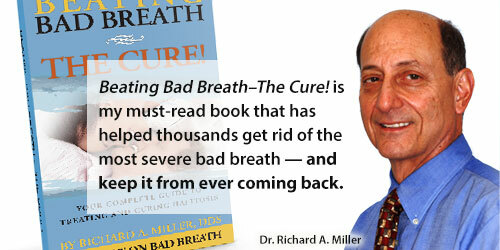 You can depend on Dr. Richard Miller’s at-home bad breath treatment. The combination of the best odor killing mouthwash and toothpaste available along with the Beating Bad Breath protocol will give you the power to confidently manage your breath and eliminate the anxiety of being around others. This is the only bad breath treatment that Dr. Miller uses personally and recommends for his patients to maintain their professional breath cure.